Lots of in the mix coming up!! Looking forward to this one as well.. I WANT FAST DISTANCE TOO. They have talents and skills!!! SUPPORT THEM!! To see them on gigs. And i also just got a confirm from Airwave, he will mix us a special exclusive set ! Come on Laan & Config gief more names. 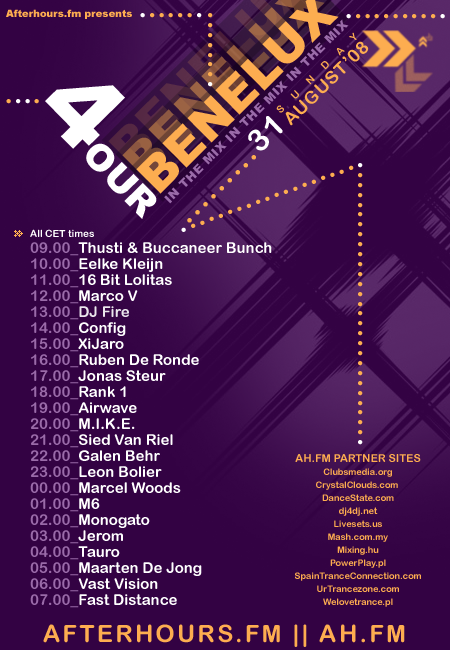 BTW would be cool to have the timeslots per dj bigger then 1 hour. For example two hours or for 1 or 2 dj's even a 3/4 hour set.